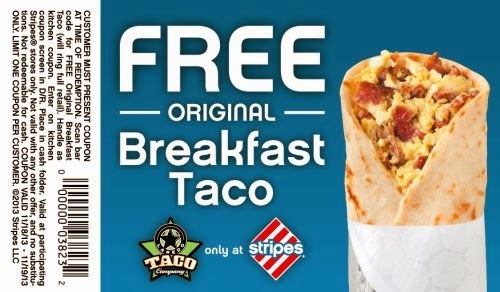 Get a free Breakfast Taco @ Stripes stores. Just click the link below to go to the website to print your coupon. Take your coupon in to your nearest Stripes store to redeem it. This offer is valid 11/18/13-11/19/13.